When you think of bats, you may envision the fictional superhero Batman, gliding over Gotham City, protecting against all evil. Unfortunately, the bats in your home have little in common with this well-known, protective character. In fact, the bats in your home are likely wreaking havoc on its structure and endangering your loved ones. At Minnesota Wild Animal Management Inc., we consider our wild animal control team the true superheroes! Our experts will keep our Shoreview neighbors safe using our humane bat removal services and prevention techniques. While the bat itself is small, its affects can be life threatening and long lasting to humans. They are infamous for carrying and transmitting diseases, most alarmingly rabies. Exposure to rabies can be hazardous to both you and your pets, and may require post-exposure rabies vaccinations. While rabies is transmitted through saliva, exposure to bat guano can also be detrimental to your health. Histoplasmosis, an infectious disease, can be contracted when inhaling the spores of this fungus and can cause damage to your lungs. If contracted, you may suffer from headaches, cough, chest pain, and fever. For this reason, never handle a bat nor its droppings! Instead, you can rely on the experts at Shoreview Animal Control to properly and safely remove the bat from your home. In addition, we will provide a thorough cleaning of the waste from the bats. We know how to properly remove and sanitize the contaminated area ensuring the health and safety of your loved ones. During your bat removal service, our team members will make sure your home is not in jeopardy of being revisited by these small, flying mammals. Incredibly, a bat can fit through a space as small as 3/8 inch. Our wildlife removal team will inspect the parts of your house most likely to succumb to their visit, such as roof lines and chimneys. You can rest easy knowing that our wildlife removal team has inspected your property for signs of infestation, and we have prevented the problem from reoccurring. If you suspect you may have bats, our wildlife removal technicians can provide a preventative check of your home. Wildlife may be cute to look at from afar, but no homeowner wants these critters invading their space! 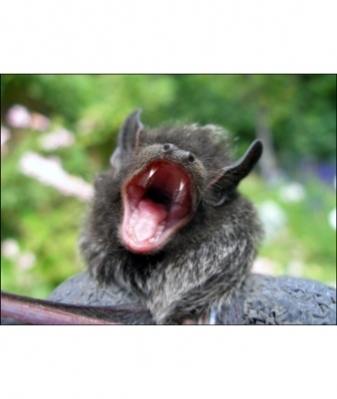 The crusaders at Minnesota Wild Animal Management Inc., can sweep in and rid your home of a bat invasion! Call us to schedule your appointment at (612) 237-8282!